Nebula unveiled Nazakat - collection of handcrafted timepieces exclusively designed for women. 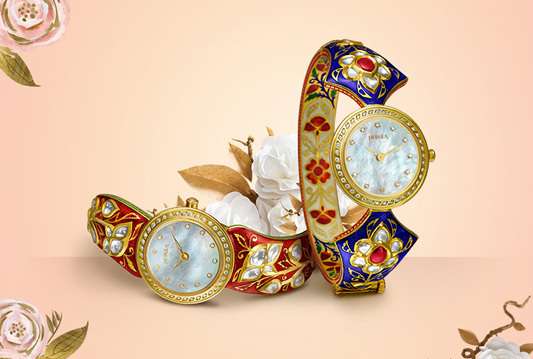 This is a limited edition collection with timepieces that incorporate traditional Partaaz and Chattai work in 22 carat gold. Meticulously handcrafted in Kundan Polkhi and Meenakari designs, the stunning Nazakat watches are available in 12 exquisite designs. Handcrafted by artisans in Jaipur, this collection is designed for connoisseurs of jewellery and watches alike. The collection takes inspiration from the age-old tradition of handcrafted gemstone jewellery. The The luxurious range is priced between Rs.3.5 lakhs and Rs.7 lakhs.